Meet EdReports' dynamic team of staff, board members, and educator reviewers. Our team comes from an array of professional backgrounds including education, law, marketing, policy, and data analysis. We welcome and celebrate diverse perspectives and take pride in a strong team culture. EdReports staff are dedicated to ensuring all students have access to the high-quality instructional materials that can make a difference in their lives. Courtney Allison is the Chief Academic Officer at EdReports. She leads the organization’s efforts to create educator-led, evidence-rich reviews in K-12 mathematics and English Language Arts, and Science. In her role, she also helps shape broader organizational strategy and direction particularly around academic endeavors and new opportunities. Courtney has over 20 years of experience working in education and spent 15 years as part of the New York City Department of Education, where she was a middle school mathematics teacher, school leader, professional developer, and finally served as the Chief of Staff for the Division of Teaching and Learning. 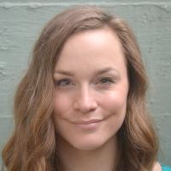 Prior to joining EdReports, Courtney was the Deputy Executive Director of Math for America (MƒA). In all her roles, Courtney strives to ensure the work of teachers informs broader policy and decision making. Courtney holds a B.A. in Education from Smith College, an MSEd. in Education from the University of Pennsylvania and a MSEd. in Educational Leadership from Baruch College. She is the co-author of “The Soup Club Cookbook” and enjoys encouraging people to share food as a way to build community. Courtney lives in NYC where she is a proud NYC public school parent and an unapologetic cat-person. 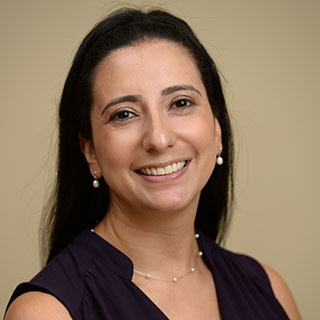 Melody Arabo is an Outreach Specialist for EdReports.org, developing partnerships with states, districts, and non-profits across the country to ensure students have access to high quality instructional materials. Prior to this role, Melody was a Teacher Ambassador Fellow with the U.S. Department of Education and was honored to serve as the 2015 Michigan Teacher of the Year. She is a proud graduate of Michigan State University for both her Bachelor’s and Master’s degrees and spent fifteen years teaching third grade in the Walled Lake School District in West Bloomfield, MI. In addition to being a wife, mother of three, and children's book author, Melody is a passionate advocate for bullying prevention, special education, teacher leadership, and all things education. 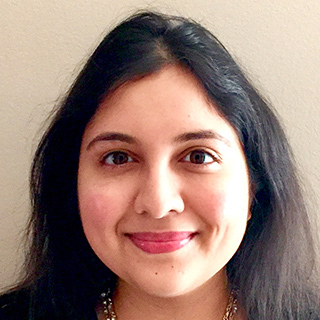 Asma Ashraf is the Instructional Materials Manager at EdReports. Prior to joining the team, Asma served as a Founding 11th Grade English and AP Language Instructor within Chicago’s Noble Network of Charter Schools where she also served as a mentor teacher, 11th Grade Level Chair, and Summer School Principal. Prior to that position, she taught 6th Grade ELA in the Mississippi Delta and served as an Operations Director at Teach For America’s Delta Institute. Asma also has experience in recruitment, data analysis, and strategic planning through her work on Teach For America’s recruitment team. She earned her B.A. in English and Secondary Education from Bradley University. Jess Barrow is EdReport.org’s Communications Manager. Jess joined EdReports from Denver Public Schools where she focused on communications strategies and tactics to support a teacher leadership model being implemented across the district. Prior to working with DPS, Jess lived in Chittagong Bangladesh where she directed an English language foundation program at the Asian University for Women. She has been dedicated to the field of education throughout her career and has worked for school districts, government agencies, and non-profits in hopes of serving teachers and students and sharing their amazing stories. Jess earned her M.A. from Columbia University Teachers College and her B.A. from Sarah Lawrence College. Janna Chan is the Director of Communications at EdReports, overseeing the organization’s marketing communications strategy. In this role, she works closely with organizational stakeholders to develop compelling assets and campaigns to better inform educators’ decisions about high quality, aligned instructional materials to support classrooms and schools across the country. 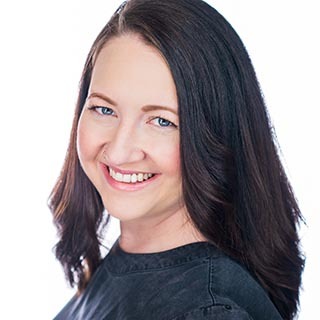 Janna brings more than a decade of marketing experience with a history of leading successful multi-channel digital strategies designed to increase brand awareness, deepen engagement, and build community for socially progressive organizations. Most recently, she led digital channel strategy and knowledge management for the K-12 Education Program at the Bill and Melinda Gates Foundation. Janna earned her B.A. in journalism from the University of Washington. Katie Dunn is the Instructional Materials Manager at EdReports. Prior to joining the organization, Katie served on the EdReports Math Content Review Team as a writer. As the Coordinator for Elementary/Middle School Special Education Curriculum and Instruction for Jefferson Parish Schools, Katie mentored teachers around the New Orleans metropolitan area, helping them to improve curriculum and instructional practices for students with special needs. She has ten years of experience in teaching Special Education, specializing in Deaf Education, and served the State of Louisiana as a Teacher Leader Advisor. Katie has her B.A. and M.A.T. in Education of the Hearing Impaired from University of New Orleans. Shannah Estep most recently served as the Director of the Standards, Assessment and Instruction initiative with the CORE Districts and led a team comprised of 50 senior instructional leaders representing each of those districts. Shannah brings more than 25 years of experience in education, including writing curriculum and assessments for AIMS Education Foundation and teaching at Fresno Pacific University, as well as acting as a professional development specialist, and coach for districts across the country in the area of mathematics education and reform. Shannah began her career as a math and science teacher and through her years in the classroom, has taught multiple grades K-12. She is a proud graduate of California State University, Fresno where she received her Bachelor’s and Master’s Degrees. Stephanie Fisher, MS.Ed, Ed.D, is the Director of Mathematics Review for EdReports. 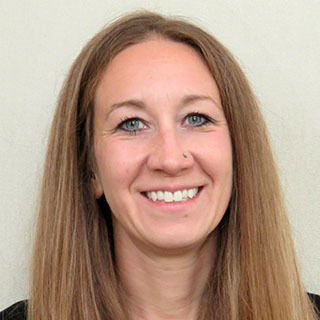 Previously, Stephanie was the Director of Curriculum and Standards Research and Manager of Global Standards and Scales at Global Schools, Pearson, developing systems to conduct alignment of international curricula standards in Mathematics and Literacy. Prior to that, Stephanie worked at the National Center on Education and the Economy, and America's Choice bringing large scale school improvement to urban districts across the United States with an emphasis on Performance Standards. 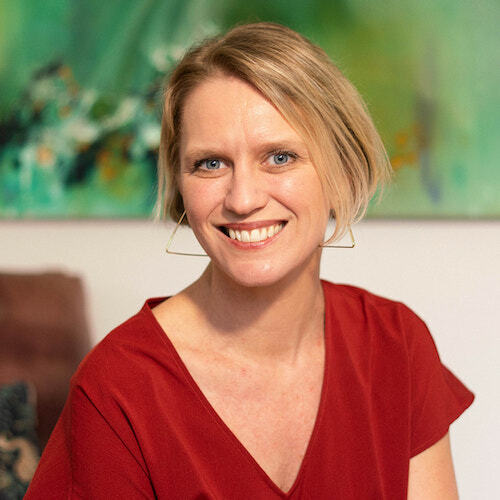 Stephanie has worked at New Visions for Public Schools, co-facilitating and developing The Leadership Academy, and served as Director of The New Standards in Education project at the University of Pennsylvania. Stephanie taught middle school mathematics, served as a principal in a large urban middle school, and is an avid learner. She earned a B.S. Design from SUNY College at Buffalo, an M.B.A. from the University of Buffalo in Finance, an MS.Ed from Sunbridge/Teachers Colleges in Curricula Design. She continued her studies in an MFA program at the Tyler School of Art for fiber, and at the University of Pennsylvania for a Doctorate in Education, and holds a Certificate in Non-Profit Administration. Alexis Gentry is EdReports.org's Communications Manager, Digital. She joined EdReports after working as Social Media Specialist for Denver Public Schools, where she managed the district's Facebook, Twitter, Instagram and website content strategy. Prior to DPS, Alexis founded Optimum Social, a Denver-based social media marketing firm where she worked with national and local businesses to develop innovative, content-based social media marketing strategies. Alexis earned a B.A. from The George Washington University in Washington, D.C., where she studied film theory. 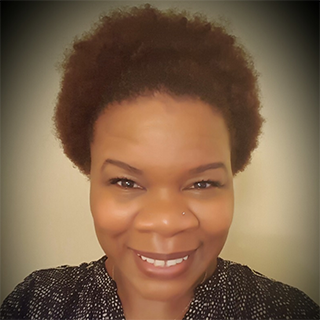 Jamilah Hicks is a Content Specialist, ELA for EdReports. She is responsible for growing and improving support for the review of ELA instructional materials for Grades K-12. Jamilah, a certified K-12 administrator, reading specialist, and PK-5 teacher, is a Louisiana native born in Baton Rouge and a resident of Lafayette. 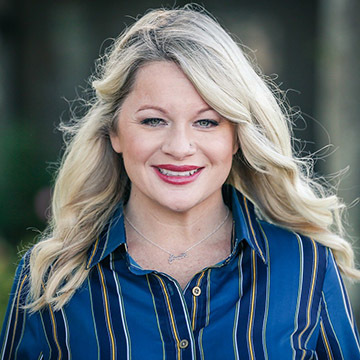 Her Bachelor of Arts in Early Childhood Education was obtained from Northwestern State University in Natchitoches, LA and her Master of Education and Masters +30 were obtained from the University of Louisiana at Lafayette in Lafayette, LA. Jamilah has experience as a kindergarten teacher, an elementary school assistant principal, and an elementary school principal. Prior to joining EdReports, she served as the Lafayette Parish School System K-5 ELA/Library Science Academic Content Specialist. Jamilah enjoys reading, spending time with her husband and two children, and volunteering at church. 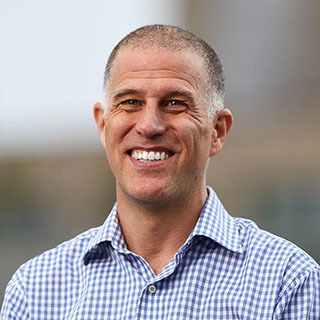 Eric Hirsch is the Founding Executive Director of EdReports. 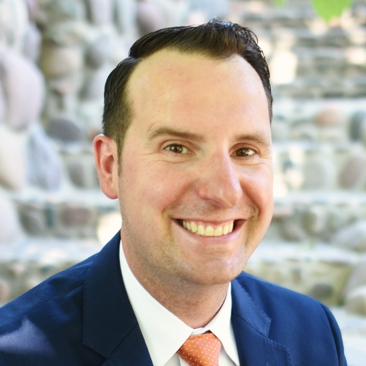 Prior to coming to EdReports.org, Eric was the Chief External Affairs Officer at the New Teacher Center, the Executive Director of the Center for Teaching Quality and the Education Program Manager at the National Conference of State Legislatures. He has supported policymakers in 35 states, written and published more than 150 articles, book chapters, reports and policy briefs, and presented at conferences across the country on topics ranging from school governance to teaching quality. He has worked with education leaders in 20 states and 25 large districts over the past decade to gather more than 1.5 million surveys from school-based educators about the teaching and learning conditions in their schools, providing more than 30,000 school reports that help educators and policymakers to create school environments to accelerate teacher effectiveness. Eric received his teacher certification in Massachusetts and his M.A. in political science from the University of Colorado. 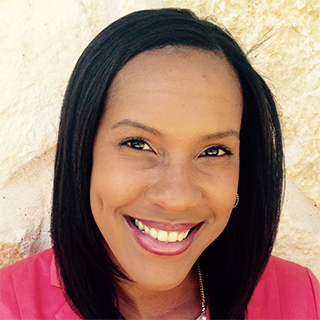 Donnidra Johnson is the Chief Operating Officer of EdReports.org. Prior to joining the team, Donnidra served as Chief Operating Officer at KIPP Dallas – Fort Worth Public Schools where she oversaw all business operations for the growing region and managed and supported the Finance, Operations, and Talent departments. She led regional initiatives to design, implement, and monitor systems and practices that enhanced organizational efficiency and scalability. Donnidra also led the continuous assessment of KIPP DFW's expansion plan to grow from one to ten schools in southern Dallas and played an instrumental role in realizing growth by a factor of at least five in total talent count, student enrollment, schools served, and annual operating revenue over six years. Prior to KIPP, Donnidra served as a public accountant at Ernst & Young. She also has strategic planning, operations, business consulting, and nonprofit board experience with Humana, KIPP NYC, Future Leaders Institute Charter School, and Christian Community Storehouse. Donnidra earned a B.S in Business Administration from the University of Florida, a M.S. in Accounting from the University of Virginia, and a M.B.A. with specializations in Strategy and Entrepreneurship & Innovation from New York University. Mark LaVenia is the Data Strategist at EdReports and a Strategic Data Project Fellow through the Center for Education Policy Research at Harvard University. 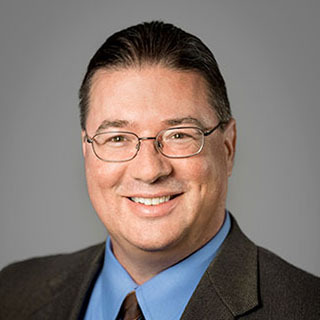 Prior to joining EdReports, Mark was a methodologist at the Learning Systems Institute at Florida State University, where his responsibilities consisted of executing experimental research designs, instrument development, statistical analysis, and report writing. His interests in education research and data analysis stem from his early-career experience as an elementary school teacher, serving as a special education teacher and site-based literacy coach, and graduate training as an Institute of Education Sciences Predoctoral Interdisciplinary Research Training Fellow through Florida State University’s Florida Center for Reading Research. 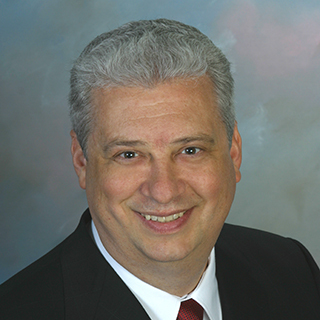 Mark earned a Ph.D. in Educational Leadership and Policy from Florida State University and is a certified reviewer for the What Works Clearinghouse Group Design Standards. Erin Longcor is the Office Manager for EdReports.org. Erin came to EdReports from Teach For America • Chicago-Northwest Indiana, where she worked in Operations supporting more than 100 regional, national, and partner staff. 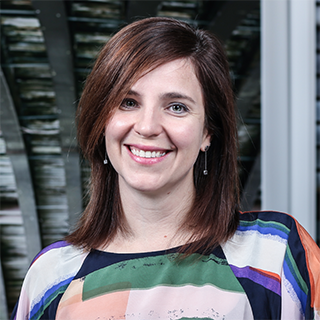 Aside from working on day-to-day operations, Erin worked on an 18-month project to downsize and reconfigure the Chicago office space, and provided support for over 75 events held in the office. Prior to that role, Erin worked at Mack & Associates, a boutique staffing firm, where she managed Temporary Staff Payroll, Accounts Payable/Receivable, and Office Operations. Before moving to the Chicago area, Erin began her professional career at Land of Lincoln Credit Union where she managed Member Relationships by educating and assisting members with their personal finances. Carissa Mikus is the Operations Coordinator at EdReports.org. She plays a key role in leading day-to-day operations, creating strong support systems, and managing the planning and logistics for all events. Carissa began her career with Teach For America in Dallas/Fort Worth as their Operations Coordinator. 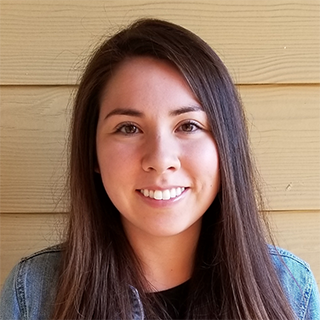 Since then, she has continued to grow in her ability to build strong systems through supporting teacher licensure, onboarding, and regional events as a staff member with Teach For America- Colorado. She also has experience working as a Recruitment and Hiring Coordinator for a Denver based charter school network. Carissa holds a B.A. in Business Administration from The University of Puget Sound in Tacoma, WA. She is a proud Colorado native who enjoys spending time with her pup, trying new vegan recipes and watching documentaries on Netflix. Liisa Moilanen Potts is the Director of English Language Arts Review for EdReports. 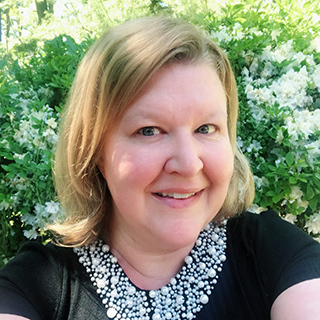 Previously, Liisa was the Director of Literacy/ELA and Professional Learning Integration for the Washington State department of education (OSPI), where she worked to support statewide birth-to-20 literacy efforts for 295 public districts. Prior to that position she worked as an instructional and leadership coach for public and private schools, focusing on school improvement efforts in reading, writing, cross-content strategies, and building professional learning communities. Liisa was a junior high and high school English teacher for ten years (Iowa and California) and continues to teach English at the community college level. She earned her B.A. in English from the University of Washington and her M.A.T. in English Education from the University of Iowa and is a NWP Fellow (South Basin, 1997). Katharine Overhauser-Smith is an instructional coach and literacy specialist at Michael Anderson Elementary School on Fairchild Air Force Base. 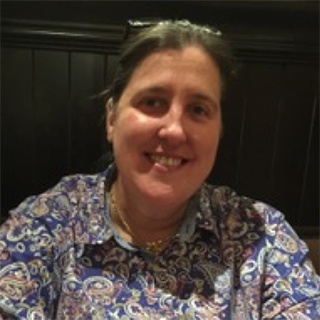 Katharine joined EdReports.org as an English Language Arts reviewer in 2015. 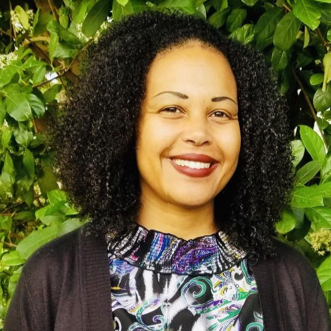 She has been a teacher for 12 years serving as a classroom teacher in grades 3-5, a STEM teacher in grades 6-8, a highly capable teacher in grades 3-6, and an instructor in early literacy at Washington State University. She has her National Board Certification in Middle Generalist. Katharine earned her B.A. in Sociology at the University of Washington and earned her Master’s degree in Teaching at Washington State University. She is currently completing her Ph.D. at Washington State University in Language, Literacy, and Technology. Katharine’s research focuses on critical content analysis of picture books depicting military children. Tricia Parker is an English Language Arts Content Specialist for EdReports. 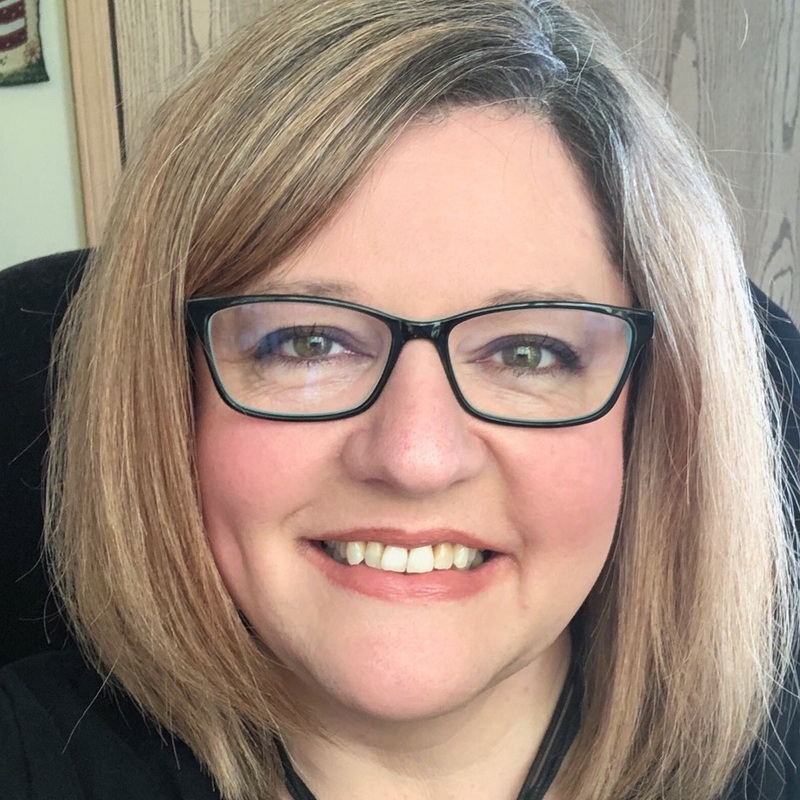 Prior to joining the organization, Tricia served for seven years as the Director of ELA Education for the Nebraska Department of Education (NDE). In this role, she served Nebraska’s 239 districts, 17 Educational Service Units, and institutions of higher education to meet the needs of Nebraska’s learners. This included leadership work in school improvement, assessment, literacy in career and technical education, and the revision of Nebraska’s content standards in ELA, mathematics, science, and social studies. Tricia also served as co-coordinator for the State Coordinators of English Language Arts (SCELA), a sub-group of the Conference on English Leadership (CEL), and an affiliate of the National Council of Teachers of English (NCTE). Prior to NDE, Tricia was an elementary teacher and high ability learning facilitator in Scottsbluff, Nebraska for eight years. She earned her B.A. in elementary education with a minor in special education from Chadron State College (Chadron, NE) and her M.S. in Education with a focus on Educational Technology from Lesley University (Cambridge, MA). She is completing her Ph.D. in Teaching, Learning, and Teacher Education from the University of Nebraska-Lincoln. Edy Penn is the Human Resources Manager for EdReports. She is responsible for spearheading talent acquisition; onboarding, training, and development of staff; and managing and maintaining employee benefits and all HR-related compliance issues company-wide. Edy, a licensed attorney, is a native of Philadelphia and a graduate of the Milton Hershey School located in Hershey, PA. In addition to her legal background, Edy also has varied experience in the non-profit arena having served as a Board Member, Deputy Executive Director, and Business Manager in her home state. Edy holds a Bachelor of Art in Broadcast Communications and a Juris Doctorate degree, both from Temple University. She has one teenage daughter and is a big fan of foreign language films and EDM music. Sam Shaw is the Director of Science Review at EdReports.org. Sam came to EdReports from the South Dakota Department of Education, where he oversaw science education in addition to social studies, fine arts, advanced placement, the South Dakota Virtual School, among other programs, and was also a participant in the SD Governor’s Leadership Program. Sam worked statewide with teachers and school leadership to advance education related to college and career readiness (CCR), specifically with regard to CCR standards implementation. Prior to his role at the Department of Education, Sam was a middle school science teacher. He has also held positions of board director and financial officer with the Council of State Science Supervisors (CSSS) where he was also a collaborator on the Science Professional Learning Standards. Sam earned his B.S. in Biology from South Dakota State University and his Executive Master in Public Administration from the University of South Dakota. Jamie Siers is EdReports.org's Knowledge Management Specialist. Jamie came to EdReports from Grantmakers for Education (GFE), where she worked for nearly 300 education philanthropies to keep them engaged and united in the common goal of strengthening education for all learners. Jamie has also worked as a consultant, advising school districts on strategy and communications best practices to help advance their missions and engage parents and other stakeholders in their community of learning. Having been raised in a family of educators, she is eager to contribute to that tradition, which is why, after years of experience working in the public and private sector in internal communications, program management, and logistics, she is never happier than when she's working to improve K-12 education. Jamie earned her M.A. in international development from the University of Denver and her B.A. in political science from the University of Iowa. Lynn Smith is the Elementary Mathematics Content Specialist for EdReports.org. She is responsible for supporting mathematics reviews including research and procurement, recruiting/training educators, and tracking report progress with an eye on K-5 mathematics. Lynn brings experience from multiple roles in education. Most recently, Lynn served as the Elementary Mathematics Curriculum Specialist/ Instructional Lead grades K-5 with Jefferson County Public Schools in Louisville, KY. In that role, Lynn developed curriculum documents, district assessments, and facilitated professional learning opportunities for teachers and administrators. 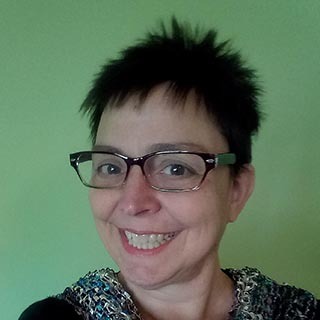 Prior to, Lynn worked for the Kentucky Department of Education as an Educational Recovery Specialist in Mathematics, and brings 16 years of experience teaching mathematics to special needs students. Lynn earned her Master of Science in Education from the University of Indiana, and is currently working on her dissertation in pursuit of a Ph.D. in Curriculum and Instruction in Elementary Mathematics at the University of Louisville. In her free time Lynn loves to spend time with her family, golf, travel, and build Lego models. Alex Spangler is the Program Manager at EdReports.org, heading up our project management and supporting outreach related to our current priorities. She is responsible for the development, execution, maintenance, and timelines for projects related to our work with districts, states, and partners throughout the country. Alex’s mission in education began in Philadelphia, where she taught 7th and 8th grade special education as a part of Teach For America’s 2009 corps. After teaching for 3 years in Philadelphia, she taught for two years in Chicago and more recently, she led Teach For America’s Need-Based Transitional Funding Program which supports corps members in their transition to the classroom. 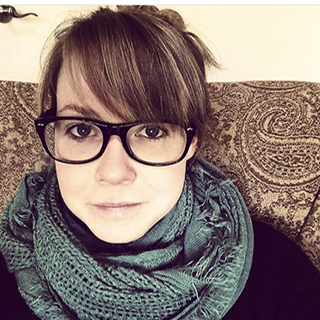 Alex earned her Bachelor of Art in Sociology and Media Communication at DePauw University and a Master of Elementary Education with certification in Special Education at Chestnut Hill College. Alex has two crazy cats who she adores and is training as an aerialist in her free time. Regan Spurlock is a Program Coordinator at EdReports.org. 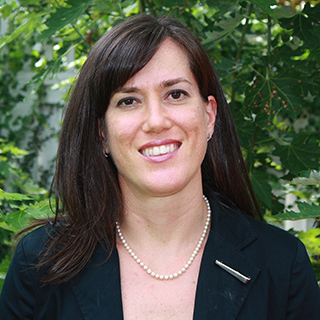 Previously, she served as a Grants Programs Manager for the DC Commission on the Arts and Humanities. There she oversaw general operating, project, and capacity-building grants for organizations and individuals, to increase access to arts, humanities, and arts education in the District of Columbia. In 2017 she was honored to be awarded a Certificate of Excellence for Grants Management Service by DC's Grants Management Advisory Council. Prior to that, she worked at the New York International Children’s Film Festival, where she managed the annual festival and launched the organization’s media education field trip program. She has experience in nonprofit management, development, and program evaluation. She holds an M.A. from The George Washington University and a B.A. from Vanderbilt University. Jason Stanley is the Instructional Materials Manager, Science for EdReports. He is responsible for supporting science reviews by procuring appropriate materials, managing text resources, and partnering with reviewers throughout the report development process. 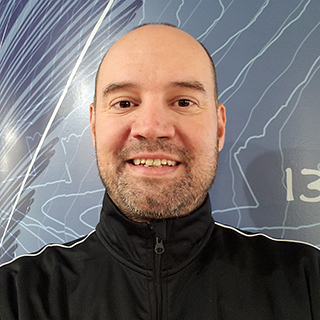 Jason brings a wealth of knowledge in science instruction to EdReports from his experiences both as an elementary and intermediate science teacher, and from his role as the STEAM curriculum and instructional specialist for the largest K-8 district in Arizona. He values the strength of collaboration as evidenced by his time serving on state-level committees to develop and review the newly adopted Arizona science standards. 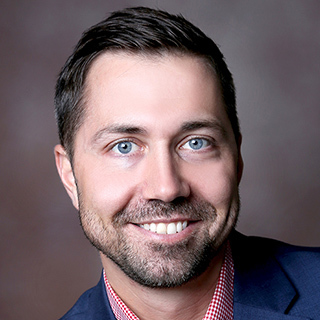 Jason received his bachelors in elementary education from Arizona State University, and his master’s in educational administration from Grand Canyon University. He loves to spend time outdoors with his wife and son grilling, camping and hiking. Stephanie Stephens is an Early Literacy Content Specialist for EdReports. 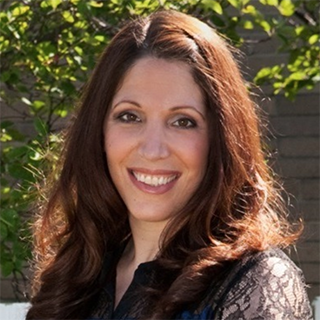 Stephanie first joined EdReports as an ELA Lead Reviewer. Stephanie has over 15 years of experience in education and has served in various educational settings and positions. Most recently, she served as Associate Director of Education for Pace Center for Girls, Inc. where she helped oversee academics in 20 Pace Centers across the state of Florida. Previously, Stephanie was a Pre K-8 Instructional Coach for Duval County transformation schools and a Montessori educator in two public Montessori schools. Stephanie has served Duval county twice as teacher of the year and as Instructional Coach of the year. She earned her B.A. in Elementary Education at University of North Florida and earned her M.S. degree in Montessori Education at Barry University. She is a member of Leadership Jacksonville, Class of 2017 and serves on the board for Hope at Hand, Inc.
Tim is the High School Mathematics Content Specialist for EdReports.org. Prior to joining the organization full time, Tim was a member of the Anchor Educator Working Group that developed the review tool for K-8 mathematics and was a member of the Content Review Team that created the inaugural set of reviews for EdReports.org. Most recently, Tim was the Mathematics Curriculum Specialist for grades 6 through 12 with Jefferson County Public Schools in Louisville, KY, and in that role, Tim developed curriculum documents, district-level assessments, and professional learning opportunities for teachers and administrators that aligned with the Common Core State Standards for Mathematics. Prior to working as a mathematics curriculum specialist, Tim was a classroom teacher for 10 years with courses ranging from Geometry to Advanced Placement Statistics, and he taught in public and private schools in the states of Georgia and Kentucky. Tim received his B.A. from the University of the South in Sewanee, TN majoring in mathematics and Latin, and he earned his M.Ed. from Armstrong Atlantic State University in Savannah, GA majoring in secondary mathematics education. Currently, Tim is working on a Ph.D. in curriculum and instruction from the University of Louisville in Louisville, KY, and his research will focus on how teachers’ mindset impacts students’ mathematics achievement in grades 9 through 12. 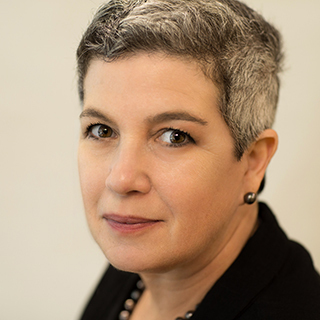 Lauren Weisskirk is the Chief Strategy Officer at EdReports.org, overseeing the organization’s communications, outreach, and impact priorities. In this role, she works with districts, states, and partners throughout the country to prioritize the selection and implementation of high-quality, aligned materials that will best meet the needs of their students. 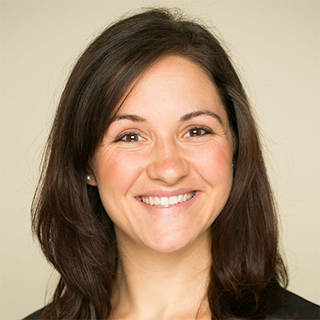 Lauren brings experience from multiple roles in public education – from the classroom to the federal government – to her work at EdReports. Most recently, she led instructional policy, professional learning, and organizational management teams at the New York City Department of Education. Her passion for education began in Indonesia as a Fulbright Teaching Fellow, where she taught English in public high schools. She earned her M.P.A. from New York University and her B.A. from Claremont McKenna College. Lacey Wieser is the Content Specialist, Science at EdReports. In this role, she supports science reviews and activities that inform educators’ decisions about high quality instructional materials aligned to the NGSS. 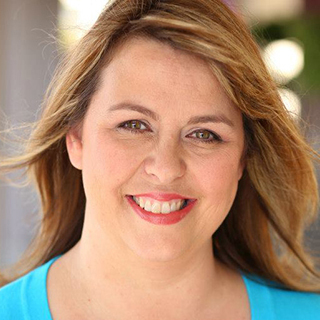 Prior to joining EdReports, Lacey was the Director of K-12 Science and STEM at the Arizona Department of Education where she provided professional development and instructional support to assist teachers and district leadership in advancing standards-based science and STEM education in Arizona. 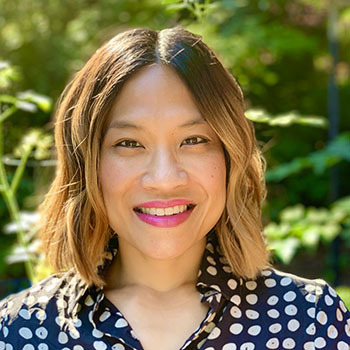 Prior to her role at the Department of Education, Lacey taught high school biology and held positions in the software industry as a technical writer and product manager. Lacey earned her B.S. from the University of Wisconsin-Madison, her M.S. from Louisiana State University, and completed certificate programs in secondary education and eLearning instructional design and development. EdReports Board Members come from an array of professional backgrounds including K-12 and higher education, finance, law, non-profit management, and marketing and communications. Our board is committed to the EdReports mission of ensuring districts are empowered with the information they need to make the best decisions for their students. Darren Burris is currently a math teacher at YSC Academy in Wayne, PA. In this innovative environment education happens in person and online and prioritizes connecting students and their passions with content. Prior to his return to the classroom, he was the Director of Instruction for Science, Technology, Engineering, Arts, and Mathematics (STEAM) at Boston Collegiate Charter School in the Dorchester neighborhood of Boston. Darren was also a high school mathematics teacher at Boston Collegiate as well as at Abraham Lincoln High School in the School District of Philadelphia. Kisha Davis-Caldwell is a Senior Policy and Program Specialist and Analyst for the Leadership Development Team at National Education Association. As a member of the Leadership Development Team her focus is helping members build the knowledge skills and abilities need to build and sustain a thriving profession. A National Board Certified Teacher in early adolescent mathematics, Kisha has more than 20 years of teaching experience which also including curriculum development, instructional coaching and professional development facilitation. The recipient of the Freeman Foundation and Japan Fulbright Memorial Fund awards, Davis-Caldwell has a broad and global perspective on education; shaped by experiences studying abroad in Beijing, teaching in Japan, and exploring schools in Australia, China, England, Italy, New Zealand, UAE and Qatar. From 2010-2012, Kisha served as an Albert Einstein Distinguished Educator Fellow for the National Science Foundation and the Presidential Awards for Excellence in Mathematics and Science Teaching. 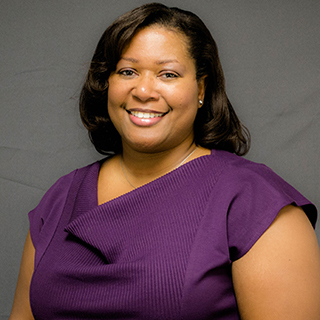 Kisha has served as a member of NEA’s College and Career Ready Working Group, Board of Directors for edReports, textbook adoption committees and in a variety of advisory role. She has also support NCAE’s Instructional Leadership Institute each summer since its inception. Michael Hyde joins the EdReports board offering a wealth of financial services experience. He is a managing director in Accenture’s Finance and Risk Practice and has led Finance Consulting Engagements and complex Business Process Services programs for clients in finance, treasury, and procurement areas across multiple industry groups for over 30 years. 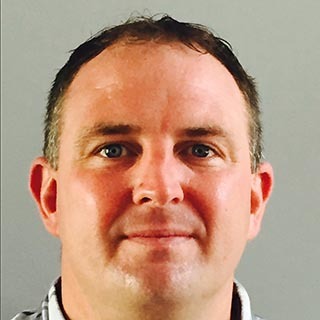 His technical expertise includes finance and accounting operations improvement, finance technology modernization, process simplification and automation. He has supported financial systems and processes in a wide range of industries including U.S. Life Insurance and high tech equipment companies that span the globe. Michael has a Bachelor of Science in Finance and a Masters of Business Administration from the University of Connecticut. 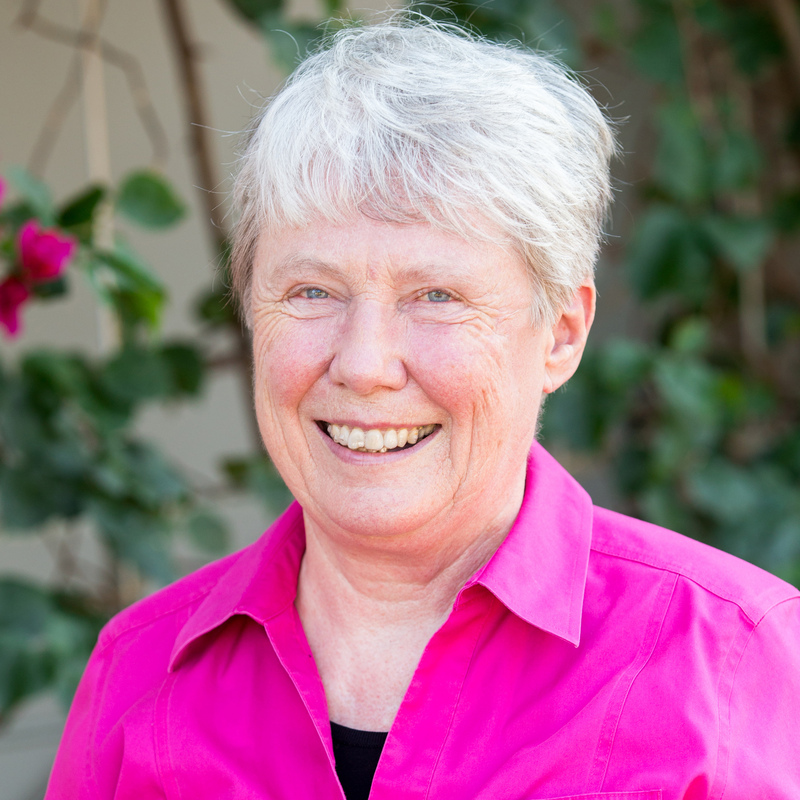 Maria is Harvey Mudd College's fifth president, starting her tenure in 2006. Maria is a renowned mathematician, computer scientist and scholar and first woman to lead Harvey Mudd since its founding in 1955. Prior to joining Harvey Mudd, Maria served as dean of engineering and professor of computer science at Princeton University. Prior to Princeton, Maria was at the University of British Columbia where she served as dean of science from 1998 to 2002, vice president of student and academic services from 1995 to 1998 and head of the Department of Computer Science from 1988 to 1995. Prior to that Maria spent eight years with IBM Research and two years at the University of Toronto. Maria is one of the ten members of the board of Microsoft Corporation, a board member of Broadcom Corporation and Math for America, a fellow of the American Academy of Arts & Sciences, a trustee for the Mathematical Sciences Research Institute in Berkeley and a member of both the Stanford Engineering Advisory Council and the Advisory Council for the Computer Science Teachers Association. Maria was recently named number 17 on Fortune's World's 50 Greatest Leaders. 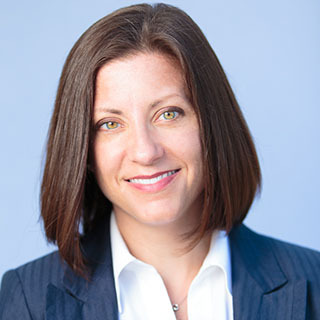 Kathleen is a highly accomplished technology and regulatory lawyer and former prosecutor with more than 17 years’ experience in the public sector. Her practice has a dual focus on compliance and investigations. As Bureau Chief of the Bureau of Internet & Technology for the New York State Attorney General’s Office, Kathleen was at the forefront of regulation, enforcement initiatives, and public policy involving privacy, data security, and consumer protection, among other issues. Earlier in her career, she served as Director of the Office of Special Enforcement in the New York City Mayor’s Office, where, as lead counsel, she directed litigation on a number of intellectual property and civil nuisance matters and was a policy leader on issues ranging from data analytics to human trafficking. While with the Mayor’s Office, Kathleen also developed the New Business Acceleration Team to streamline regulations and fast-track new business development. Kathleen is admitted to appear before the U.S. District Court for the Southern and Eastern Districts of New York. Audra McPhillips is the Mathematics Specialist and Coach PreK-12 for the West Warwick Public Schools. She is a National Trainer for AFT's Educational Research and Dissemination Program in all three of their Thinking Mathematics and Common Core Professional Development Modules. Audra was a member of the AFT national review team for the Common Core Mathematics Standards and currently serves on the Educator Leader Cadre from RI for the PARCC Assessment. Audra also takes part in Teacher Item Review and Core Leadership Group Review for the PARCC items. She is an adjunct professor in the School of Education at Johnson and Wales University in the School of Education. 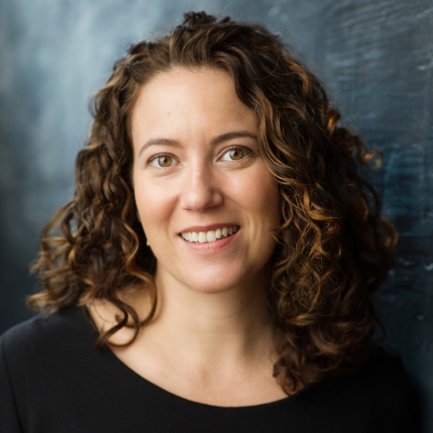 Audra was recently featured in Learning First Alliance's Getting It Right Podcast series as well as on the Teaching Channel as part of a series on Mathematical Reasoning in the Classroom. Dana Nerenberg has served as principal of Sitton Elementary School, a bilingual, Title I school in Portland, Oregon, since 2014. She serves on the COSA Board and is a member of the Oregon Deputy State Superintendent’s Advisory Council. During the 2016-2017 school year, Dana was a Principal Ambassador Fellow at the US Department of Education, serving as an advisor to the federal department in a range of ways. Prior to leading Sitton, Dana served as principal of Hyde-Addison Elementary School in Washington, DC for eight years. Dana serves on the Board of Trustees for AppleTree Institute for Education Innovation and EdReports.org. Prior to becoming a principal, Dana was an elementary teacher in urban and rural public schools in Mississippi, Baltimore, MD, and Washington, DC for nine years. An alumna of Teach for America and New Leaders for New Schools, Dana is committed to supporting and serving all learners and providing rigorous responsive learning opportunities for all students. Dana holds a BA in History and Public Policy Studies from Duke University, an MA in School Administration from Johns Hopkins University, an Executive Masters of Leadership from the McDonough School of Business at Georgetown University, and an Advanced Graduate Certificate in Curriculum and Instruction from the University of Maryland. K. Sue Redman's career has included operational and executive experience in the corporate, consulting, government, not-for-profit and education sectors. From 2004 until 2008, Ms. Redman was the Senior Vice President and Chief Financial Officer of Texas A&M University, the nation’s seventh largest university and the oldest public institution of higher learning established in Texas. As CFO, Ms. Redman oversaw university-wide financial and business operating activities, including finance, human resources, accounting and reporting, information technology, strategic sourcing and procurement, dining services, parking, transportation and logistics. 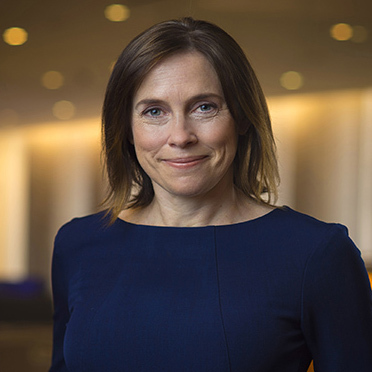 From 1999 –2004, Ms. Redman was the Vice President of Finance and Corporate Controller of AdvancePCS, a pharmacy benefit manager with annual revenues of $14 billion and traded on NASDAQ. 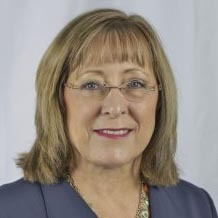 Before joining AdvancePCS, Ms. Redman was a partner at the accounting firm PricewaterhouseCoopers where, as a partner, she provided accounting and consulting services to both public and private companies in a variety of industries, including energy, engineering and construction and private equity. She also has extensive experience in mergers and acquisitions and assisted various companies in numerous financial and strategic transactions. Sonja is the Chief Executive Officer of Baltimore City Public Schools, a district of over 180 schools and 80,000 students. Prior to this, she was the Vice President for Education Trust's K-12 research, practice, and policy work. 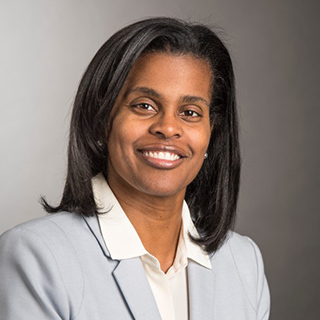 Prior to joining Education Trust, Sonja was the chief academic officer for Baltimore City Public Schools where she focused on setting academic priorities to raise student achievement across all schools. Sonja came to Baltimore City Schools from Boston where she served as assistant superintendent for pilot schools, a network of 23 schools. Sonja also served as the assistant superintendent for teaching and learning/professional development in Boston. Prior to that, Sonja lectured on urban education at Harvard University. She was also a senior associate with Focus on Results Inc., for six years, where she worked with five major urban districts coaching superintendents and training school leaders. Sonja also served as executive director of the New York City Algebra Project. She began her career in education as director of professional development and teacher placement with Teach For America and worked at a year-round school in Brooklyn where she was a founder, teacher, and curriculum specialist. 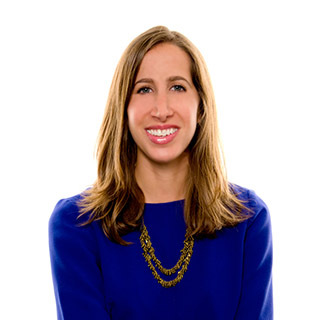 Liz Simon is the General Counsel & Vice President of External Affairs at General Assembly, a global educational company that specializes in the most in-demand skills, where she leads GA’s legal and public affairs, government relations, and social impact efforts. In this role, Liz works directly with policy makers to help develop policies and education models that put students first and addresses the dynamic requirements of employers. She also works directly with a range of partners to expand access to tech training and close persistent skill and diversity gaps among employers. Liz joined GA from the Obama Administration, where she served as Counselor to the Director of U.S. Citizenship and Immigration Services. In that role, Liz worked on policy issues at the nexus of immigration and entrepreneurship and helped launch the predecessor to the Presidential Innovation Fellows program. Liz also worked in several capacities on Barack Obama’s primary and general election campaigns in 2007-2008. Prior to that, Liz was an attorney at Hogan Lovells, a Washington D.C.-based law firm. Liz holds a bachelor’s degree in Government from Cornell University and earned a J.D. from the University of Michigan Law School. Lauren is a National Board Certified English Language Arts teacher at El Rodeo School in the Beverly Hills Unified School District. As a Hope Street Group National Teacher Fellow, she has worked on the issue of teacher preparation. As a Teach Plus California fellow, she worked on legislation to lengthen the amount of time given for teachers to earn tenure. In addition, Lauren is a Teachers for Global Classrooms Fellow, studying global education and will be spending time abroad Spring 2018 in a cultural exchange. She is also a member of the Gates Foundation Teacher Advisory Council and the Better Together Teacher Advisory Board. She began teaching in 2006 with the Los Angeles Unified School District. 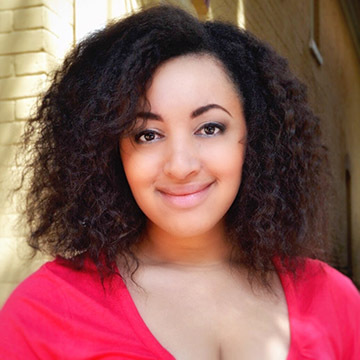 Lauren has a BA in Communication Studies from the University of Michigan and a Master’s in Education from Pepperdine University. Peter is the Tennessee Educator Fellowship Coordinator with the the Tennessee SCORE. Prior to joining SCORE, Peter served a teacher in Memphis, TN. His previous teaching experiences include serving as Master Teacher at Kate Bond Middle School, teaching seventh grade math at Westside Achievement Middle School in Tennessee's first turnaround school district, and teaching eleventh grade English at East High School. 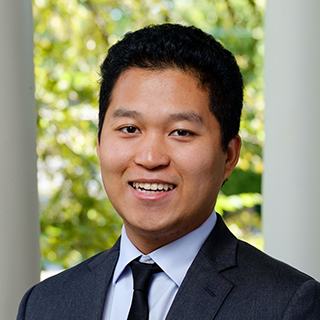 Peter is an alumnus of the Teach Plus Teaching Policy Fellows program where he had the opportunity to brief policymakers at the national and state levels regarding teacher development and rigorous academic standards. He wrote a chapter on the challenges of Measuring Teacher Effectiveness for the book, Learning from the Experts: Teacher Leaders on Solving America's Education Problems that was published in 2013 by Harvard Education Press. Peter is also a Tennessee Department of Education Common Core Coach. A native of Brooklyn, NY, Peter received his Bachelor of Arts in History from Amherst College in 2010. EdReports’ content reviewers consist of outstanding classroom educators, district coaches, and state content leaders who deeply understand college-and career-ready standards and the importance of high-quality instructional materials. We have a network of more than 300 reviewers hailing from 46 states. Reviewers have a wide range of professional backgrounds and experience representing diverse school districts from large and urban to small and rural and everything in between. Participant in Math and Science Leadership Initiative, Participant in SWI Math Connections IMSP MAP Project. 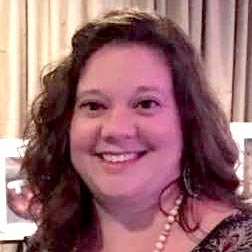 Christy Krenek joined EdReports in April of 2018 as a middle school science reviewer. She is currently teaching 8th grade science for Santa Fe Public Schools in Santa Fe New Mexico. DE Math Coalition, DE STEM Council, NCTM/DCTM, NCSM. Recently awarded over 90K for 2016-17 professional development grants in conjunction with 3 district schools. Bachelor's in Education; Master's in Education; Ed.D. NCTM, Wisconsin Mathematics Council (WMC). Currently working at UWM on an NSF-funded Robert Noyce Teacher Scholarship Program grant at the University of Wisconsin - Milwaukee. Member of WI DPI Coaching Network, Wisconsin Math Council, and National Council of Supervisors of Mathematics. CPAM, ICTM (Illinois), IMTE (Illinois), NCTM, Presidential Awardee, Toyota TIME Grant, I work with the Regional Office of Education doing PD related to STEM, AFT, NCTM. ASCD, International Literacy Association, TEA, NEA, National Association of Elementary School Principals.